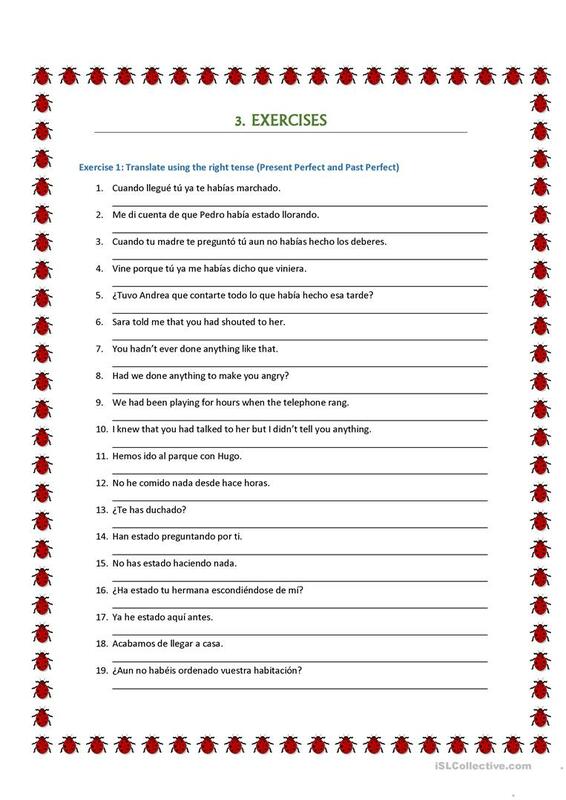 Grammar theory and exercises of these tenses. 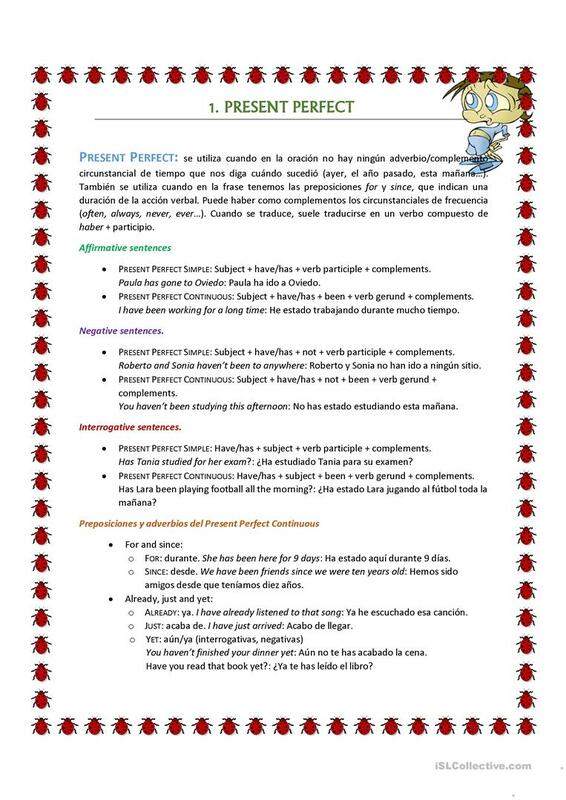 The grammar explanation is in Spanish... You can translate it into the L1 of your students. 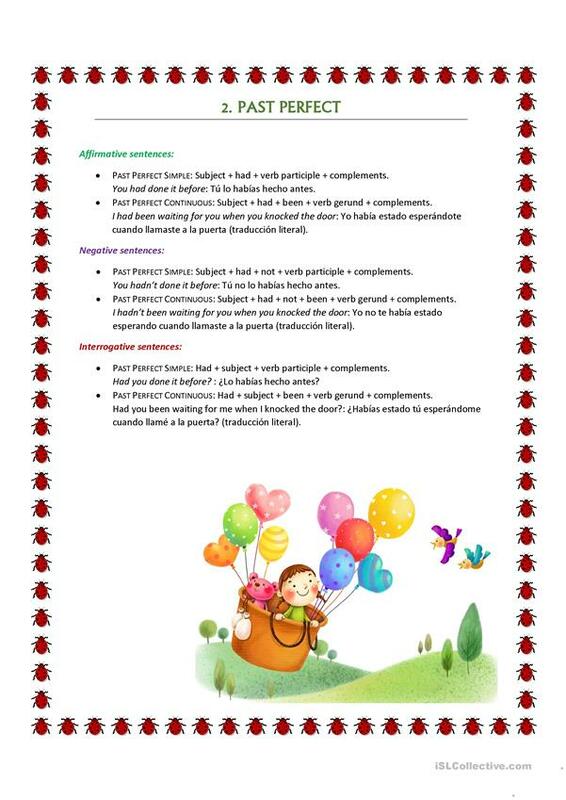 The above downloadable handout is intended for high school students and adults at Pre-intermediate (A2) and Intermediate (B1) level. 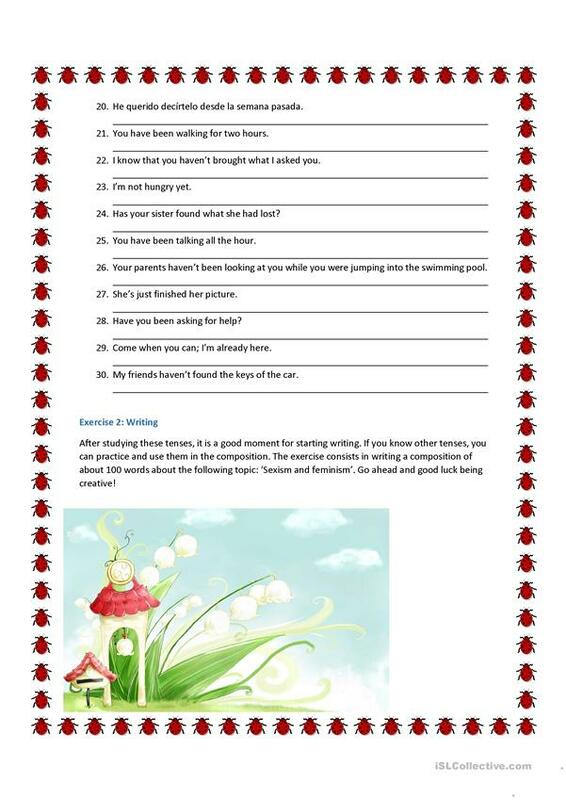 It is aimed at teaching Past perfect simple tense, Present perfect tenses and Present perfect tense: FOR or SINCE in English, and is excellent for strengthening your pupils' Writing skills.